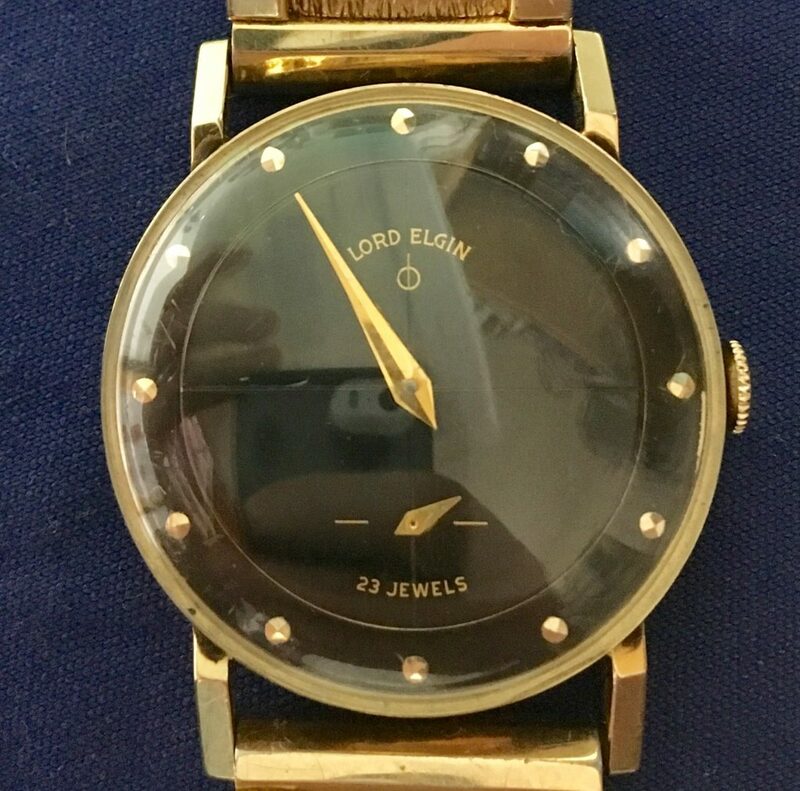 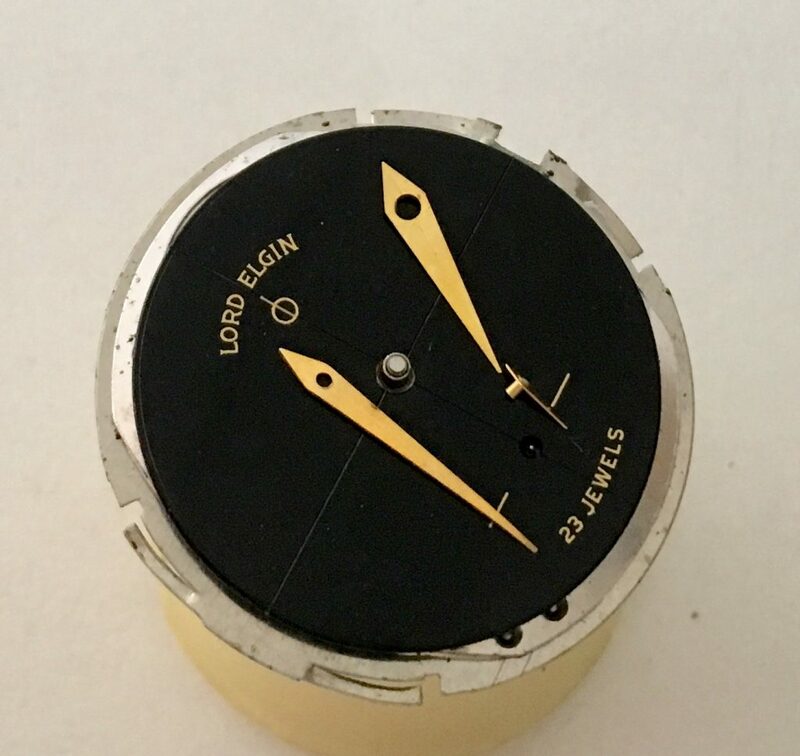 In for service is a nice black dial Lord Elgin 23 jewel wrist watch. 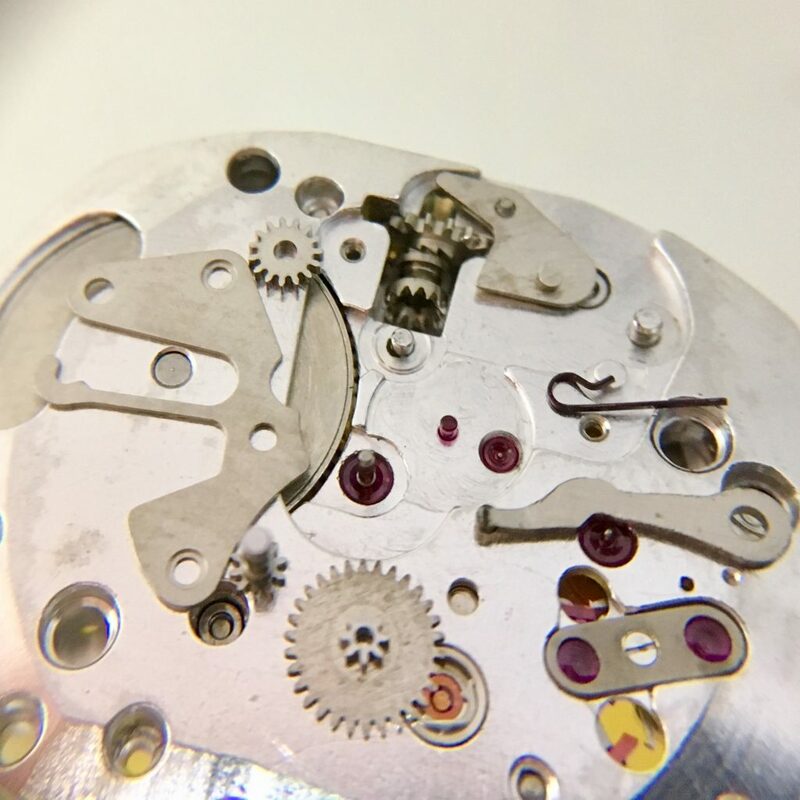 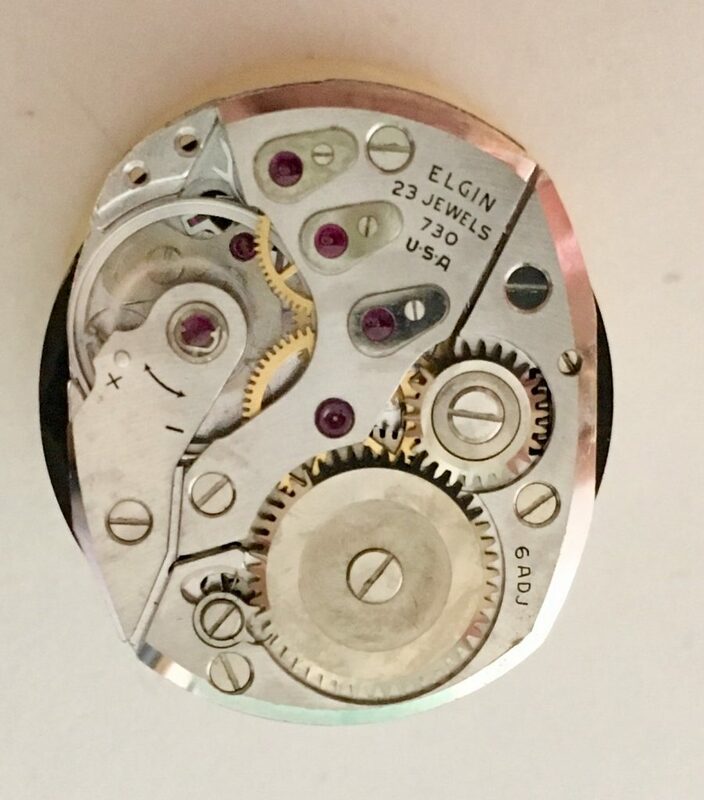 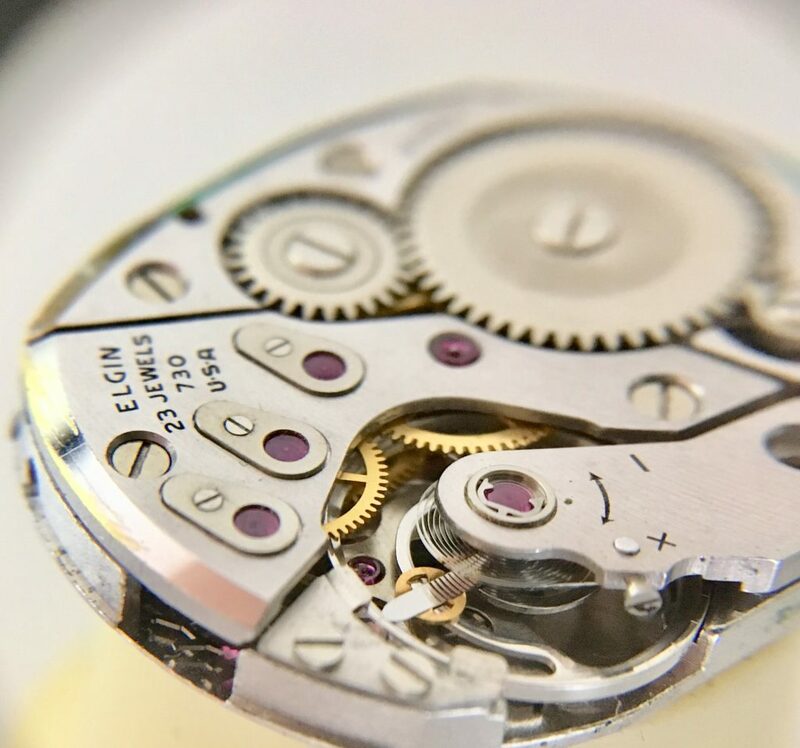 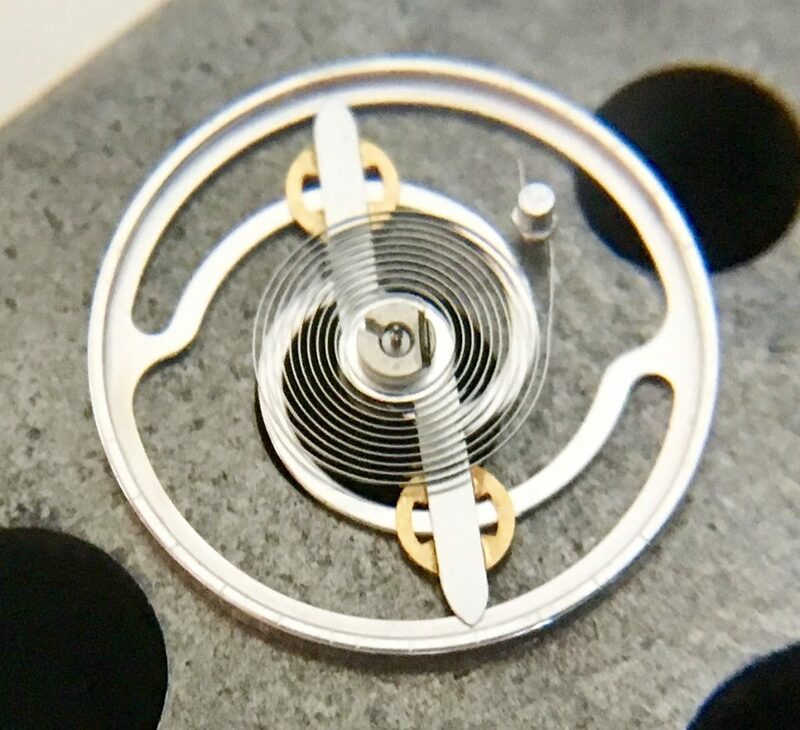 The Calibre 730 movement features a unique free sprung spiral balance wheel. 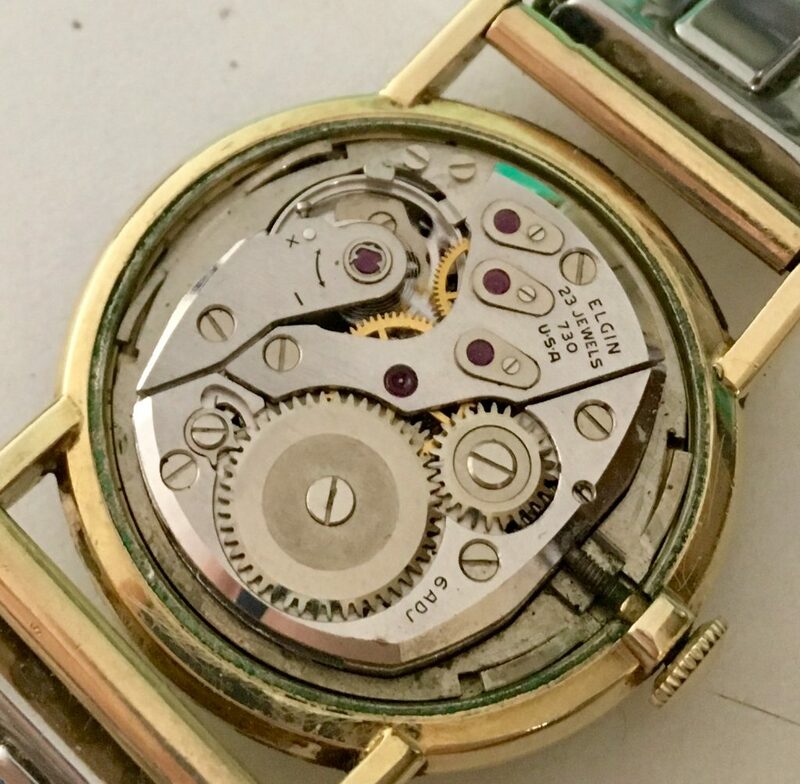 The movement is regulated by rotating a bar with brass weights. 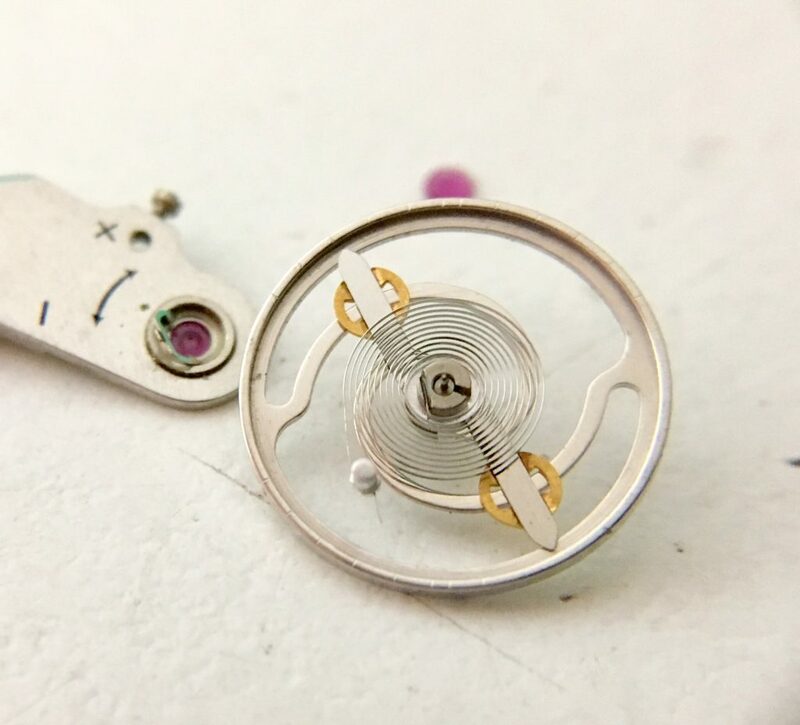 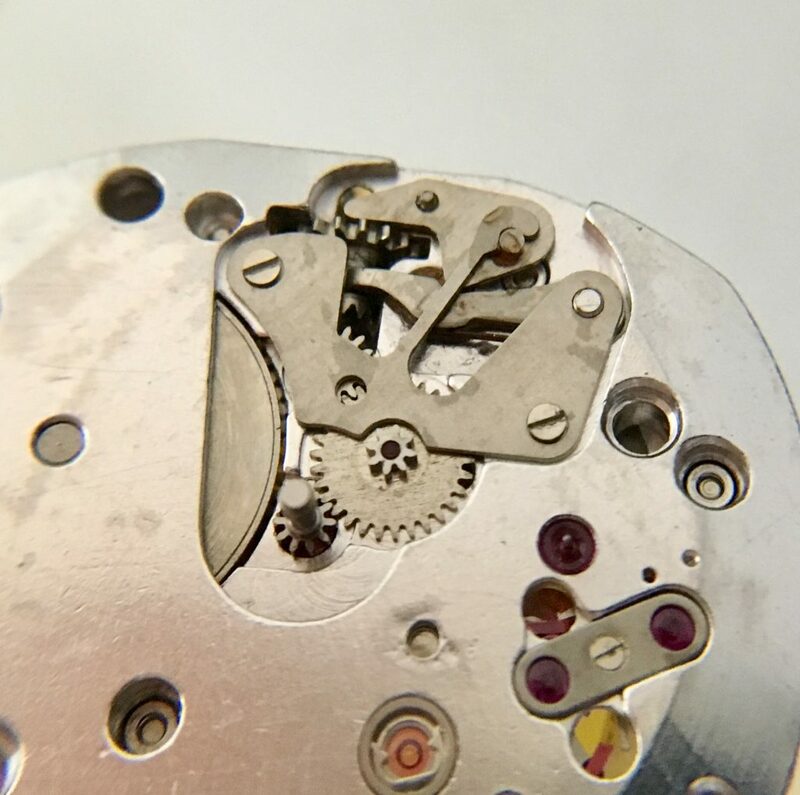 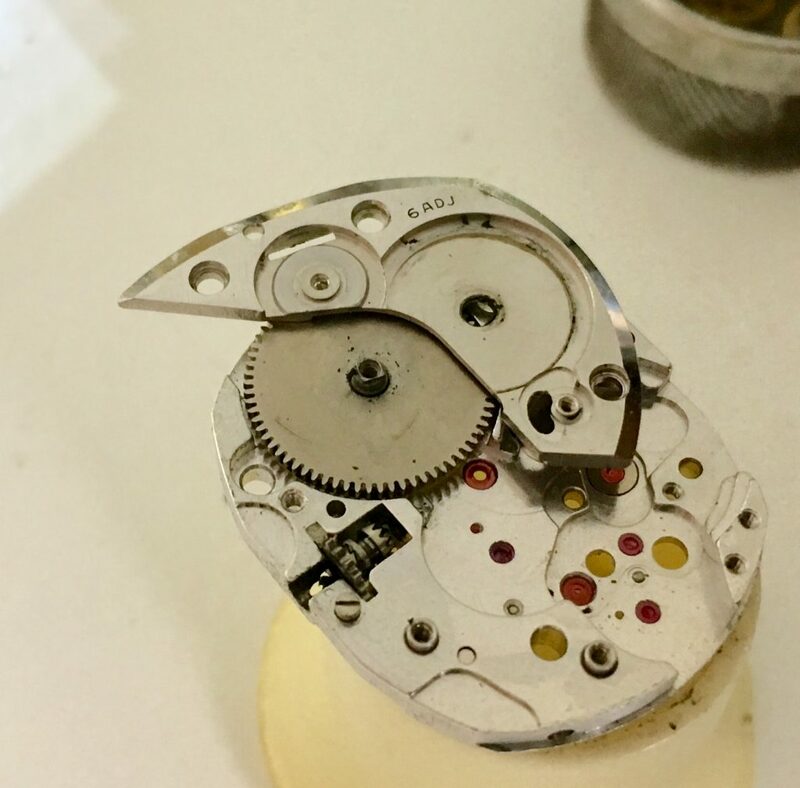 The movement is uncased, dissembled and cleaned. 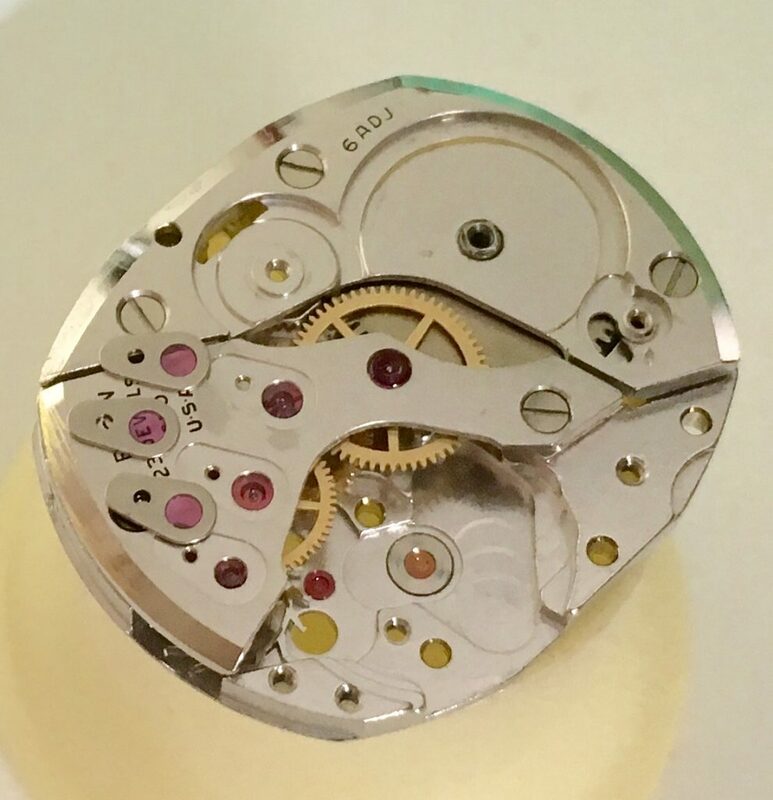 Then reassembled, oiled and regulated. 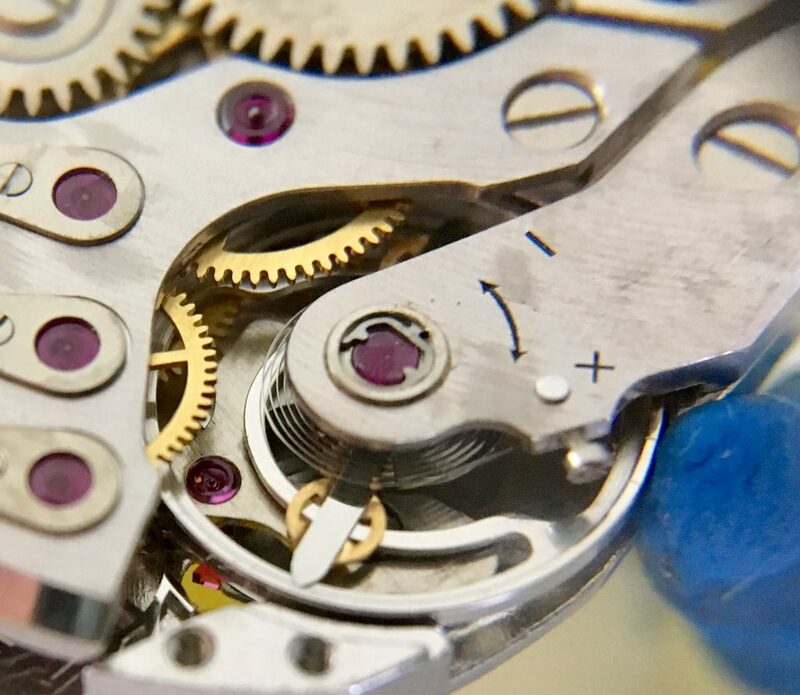 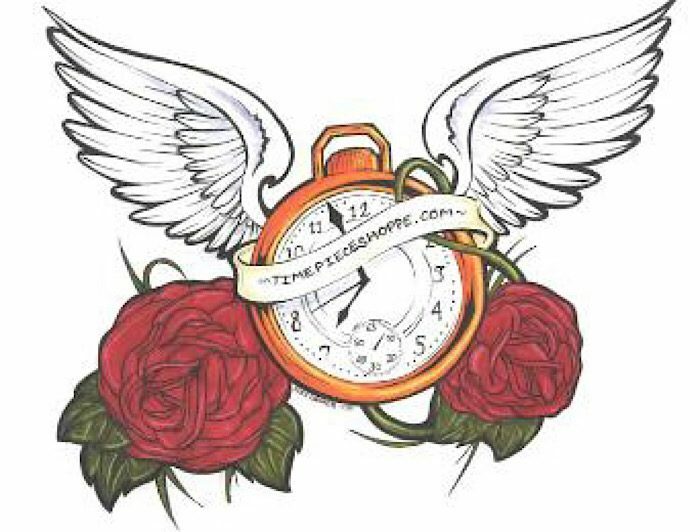 Note: An observant reader pointed out that the crystal that was on this watch is not correct, as it should span the entire bezel.